A sunny garden hums, buzzes, creeps and crawls with life... Peep inside to see what you can find. 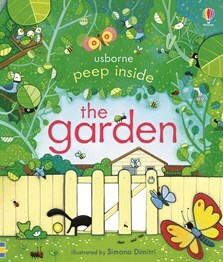 A charming introduction to the world around us for very young children. A sophisticated, well designed flap book... A fresh approach with lots to talk about.